Thursday November 8th marked the twelfth annual Academy Graduation and Awards Ceremony. 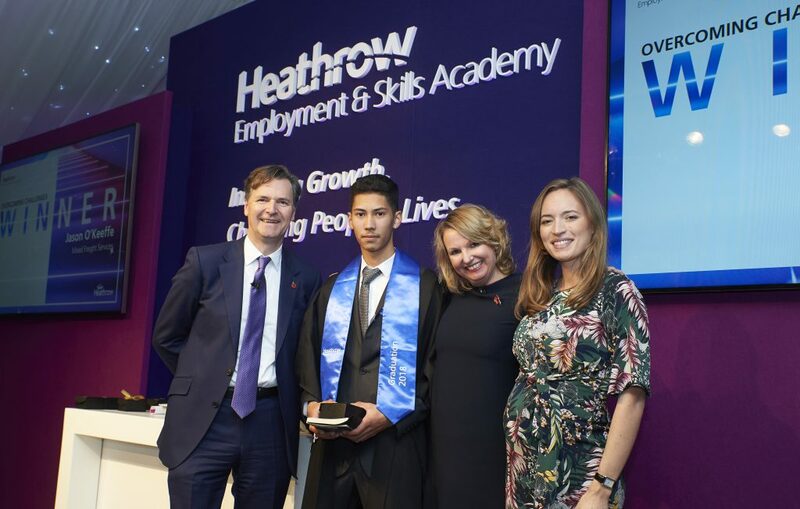 This year’s ceremony proved to be another success, with more than 100 Apprenticeship graduates. 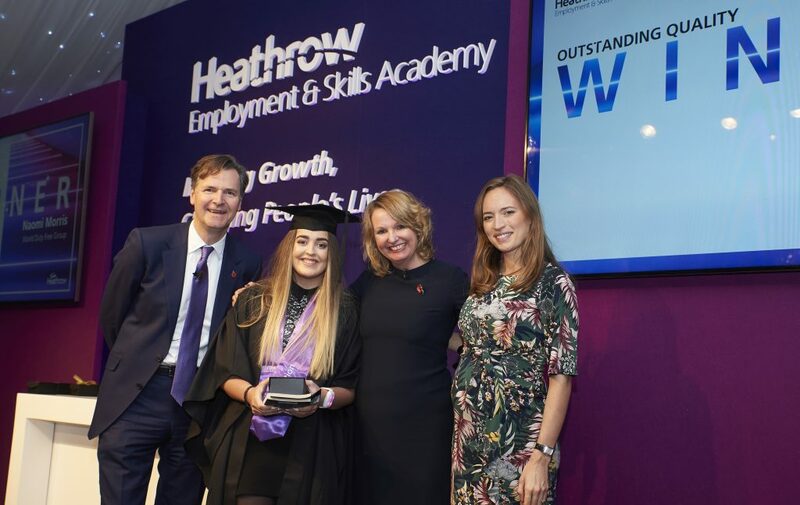 Hosted by John Holland-Kaye, Heathrow CEO, Paula Stannett, Chief People Officer, and joined by our guest speaker Bonita Norris, the ceremony celebrated the inspiring graduates who represent the remarkable talent at Heathrow. 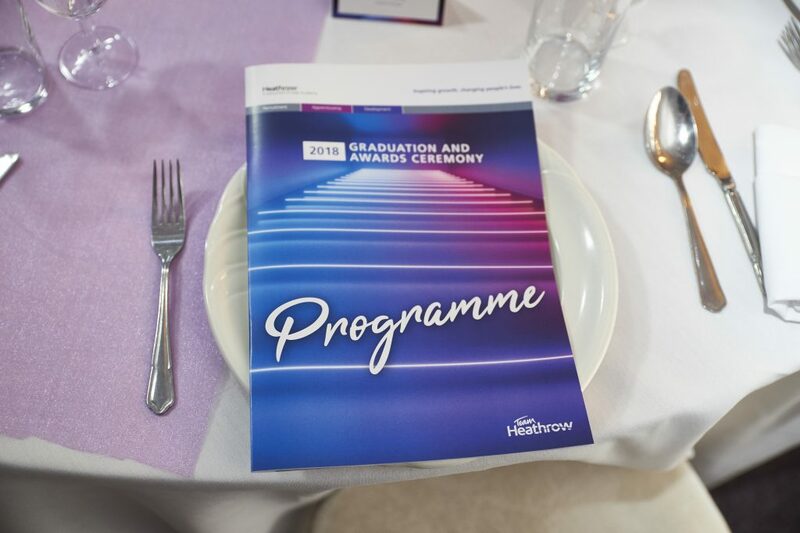 The graduation and award ceremony celebrates all graduates who have completed their Apprenticeship over the past year, the achievements of individuals from Heathrow and our local community and the forward-thinking employers who recognise the amazing contribution Apprentices and Apprenticeships bring to their businesses. Not to mention, the mentors who spend much of their own time supporting their colleagues undertaking this amazing opportunity to learn and develop. This award is for a learner that has shown outstanding commitment and enthusiasm throughout their Apprenticeship qualification. They are eager to continually learn and develop their skills and are an inspiration to others. Scott is a true inspiration to others. Scott has 5 children, 3 of whom have support needs. He organises his shifts around the needs of his family and possesses excellent knowledge, as demonstrated in recorded discussions. Scott has put the needs of others before himself and is a positive role model for his colleagues. 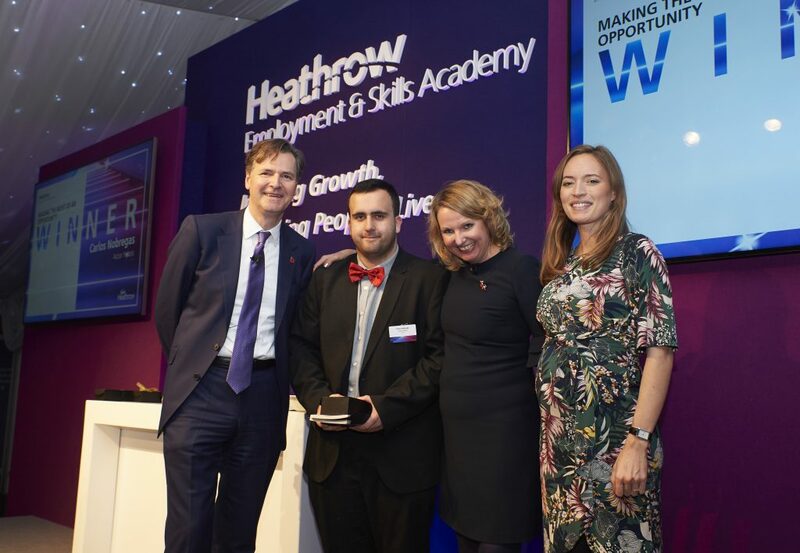 He really is a true inspiration to other apprentices and colleagues and is a well-deserved winner. This award is for a learner who has overcome challenges and excelled in their Apprenticeship programme. They have experienced challenges in both their work and home environment or English may not be their first language, yet they have shown true commitment and continuously excelled in the work they were doing. Jay did not have an easy experience in school and was often told he would not go far or succeed and was held back a year; knocking his confidence. On joining Mixed Freight and the apprenticeship scheme, Jay has developed his communication skills, leading him to be one of the youngest people to hold a fork lift licence. He has demonstrated his willingness to learn and recently passed his English reading and writing exam, which he was convinced he would fail. It has been hard for Jay to recognise that he is developing well in his career, but the apprenticeship is helping him progress his knowledge and confidence. This award is for a learner that has taken pride in the presentation for their portfolio, including the depth of content and the level of detail. They have maintained it to a high-quality standard and their work is an example to others. Naomi was selected after a rigorous selection process to participate on the World Duty Free Trainee Leadership Scheme. In addition to the TLS training, Naomi has taken the lead on a project to improve terminal 2 concierge service, improve customer service and increase sales. Naomi took it upon herself to research concierge services by visiting 5* hotels to study what they offer and has taken some aspects to trial within terminal 2. As a result, Terminal 2 have seen an increase in sales and improvements in relation to customer service. This has enabled Naomi to produce an outstanding project for her apprenticeship and made her the first WDF learner to go through the new standards. 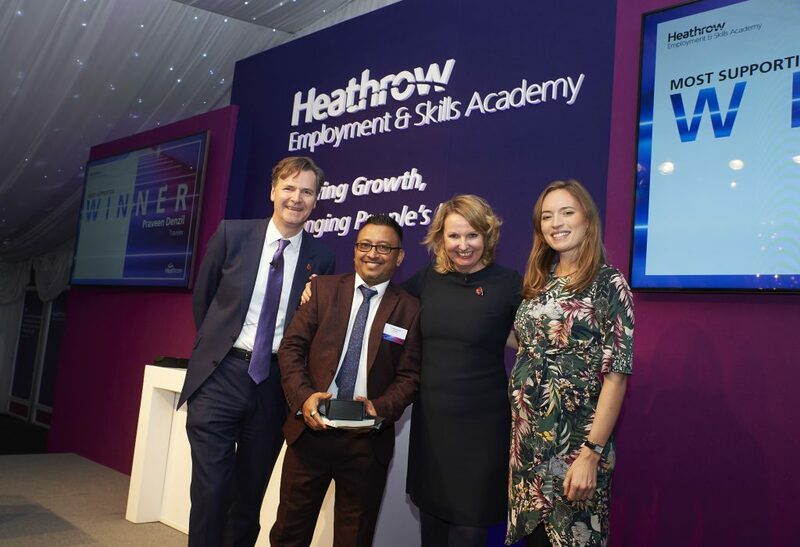 There are several individuals that have embraced the opportunities around them and used them to create a career at Heathrow. This category looks for people that have seen development opportunities available to them and made the most of it. Samit has worked tirelessly to develop his skills and become positive about how to overcome his dyslexia. He has worked relentlessly to improve his reading, writing, above and beyond expectations. 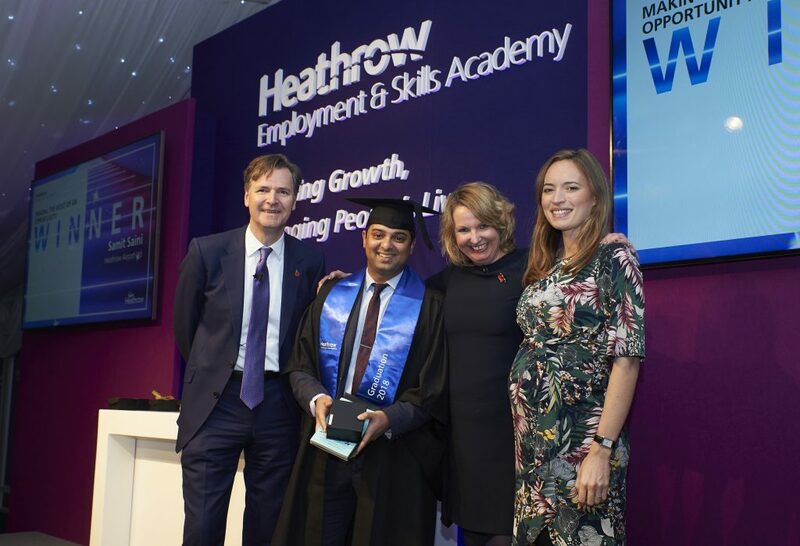 Samit has excelled in his work role and even delivered a talk after being invited with his manager to Microsoft HQ in America and presented a speech to 18,000 people live across the world. This category recognises the positive approach taken by individuals who come from particularly challenging backgrounds, and who through their own determination have made the most of every opportunity made available to them. Since completing his internship, Carlos worked with an Academy Account Manager to secure a work experience within his chosen sector. Then moved onto a work-based trial with Qantas Lounge (Accor hotel) which resulted in an offer for permanent position as a Waiter and has now been working with them for 4 months. During this time, he has remained in contact with his Academy mentor with updates on his progress and works closely with both the Academy and Project Search as an ambassador helping other young people with disabilities understand the opportunities available and sharing his story. This award is for the individual mentor that has been extremely supportive and understanding of their learners. They have supported with homework, case studies and released learners from store when required. This award is for an individual who has made a difference to the success and motivation of the learner, embraced the apprenticeship qualification and been a fantastic support to the vocational assessor. They can see the value of developing their teams through apprenticeships for the benefit of the individual and the business. Praveen has been a tremendous support to learners. As a line manager, Parveen is always on call whenever support or guidance is needed. Recent changes to his shifts and management has meant a change to location and shift pattern to learners. Despite this, he is still committed to supporting learners by regularly enquiring about her progression and even attending meetings on his day off. 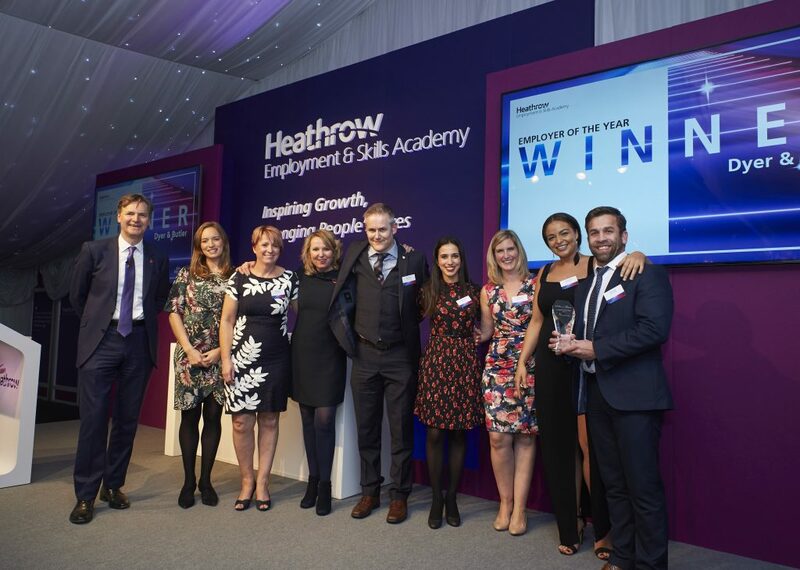 This award is for a business who has embraced the Academy concept to support and implement their successful people plan at Heathrow, truly investing in skills and development. This year we have seen the Academy working with many employers by successfully reviewing flexible working patterns, taking on young apprentices and support people with disabilities onto the workplace. Congratulations to all the 2018 Graduates and Award Winners! Another year of success, another ceremony of celebrations. 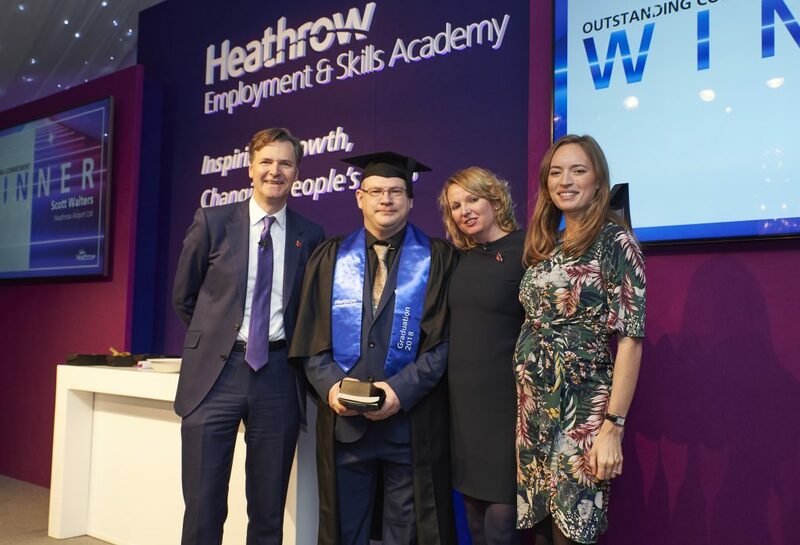 We look forward to continuing supporting people’s careers at Heathrow.